ControlAir is a worldwide leading manufacturer of precision pneumatic and electro-pneumatic control products which include current-to-pressure (I/P) transducers, voltage-to-pressure transducers (E/P), pneumatic-to-current transducers (P/I), precision air pressure regulators, filter regulators, volume boosters, motorized regulators and diaphragm air cylinders. ControlAir’s pneumatic controls are essential to automated industrial equipment, process control systems and instrumentation, laboratory research and analysis, energy management, fluid power, robotics, and valve automation applications. 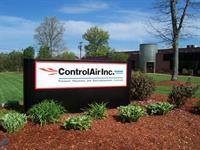 ControlAir operates under an ISO-9001:2000 registered quality system.